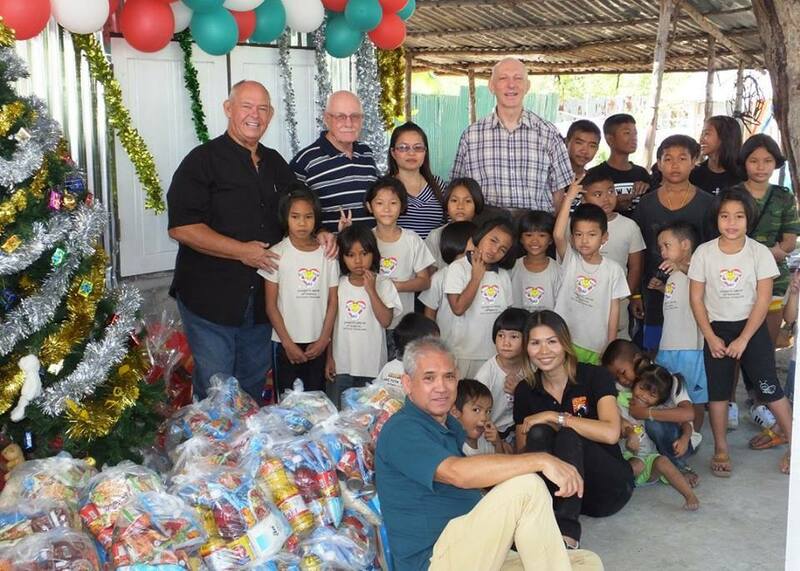 Members of Trident Masonic Lodge Pattaya and Balmoral Lodge East Kent in the UK donated 80 food parcels to poor families in Nernplabwan recently. These families come under the care of Kate’s Project and the food will make a big difference to their lives. Pictured back row (L to R) Rodney Charman, Nigel Cannon, Yui and Graham Russell. Front row: Peter Schönherr and Noi who runs Kate’s Project.